Tour Ireland offer guided tours for groups, VIPs, individuals and even offering special photography tours for those who really want to spend time capturing the scenic spots on the tour. Their specialised service also means you get the benefit of a guide, a translator and a driver in one great package. 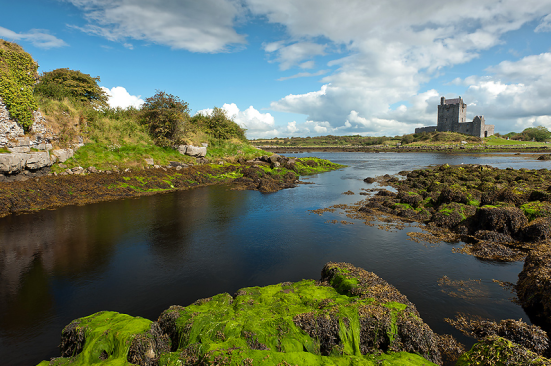 Tour Ireland’s helpful tour operator will help you with everything from finding detailed information about the history of Ireland to what the best ways to travel here are and the best spots to see. And together with Photoexpedition.eu, they know offer similar photo tours in Scotland, Europe and New Zealand. So if you try it and like it, the fun doesn’t even have to stop here. The tailored trips also mean you can see what you are most interested in. They’re an independent organisation and as such they’re not tied to any specific spots so you can truly find a trip that’s unique to you with their help. And a Russian interpreter isn’t offered with all trips and it certainly adds to the enjoyments when you understand everything being spoken about and can ask any questions that come to mind without having to look up words or phrases in a dictionary or on your phone, when you could be gazing out the window! Whether you love art history, shopping or food, they can help develop a route that suits you, pick out the perfect hotels for your budge and advise you on getting your visa sorted for your stay or your move to Ireland. If you’d rather not have to think about it all too much, you can also opt to select one of their pre-planned tours which include Dublin Sightseeing, Meeting Belfast, Magic Connemara and Medieval Kilkenny. Whether you are expecting Russian visitors to your business for a corporate event or you’re Russian and planning on taking a trip to this beautiful Isle, they are ready to meet all your requirements.